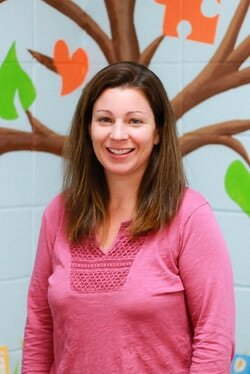 Mrs. Hoddinott is currently our Head Teacher for the 5's Kindergarten Readiness program and our Director. She holds a Bachelor's in English and Communications and a Master's Degree in Elementary Education. Mrs. Hoddinott also holds a 6th Year Certificate in Administration. She taught fourth and fifth grade for many years before taking time off to have her children. ​Mrs. Hoddinott returned to public school as an Instructional Tutor for a short time before joining the OCNS family. Additionally, she is an experienced and trusted tutor for young children enhancing their reading, writing and math skills. Mrs. Hoddinott enjoys reading, cooking and spending time volunteering at her children's school. She resides in Orange with her husband, Charlie, her son, Charlie Jr., daughter, Emily and their fun-loving pup, Oreo! Mrs. Baldino is our assistant teacher for the 5's Kindergarten Readiness Program working closely with Mrs. Hoddinott to implement curriculum. She also serves as Registrar. Susan holds a Bachelor's Degree in both Early Childhood Education and Psychology. Additionally, she holds a Master's Degree in Reading. Mrs. Baldino taught Kindergarten for 10 years. 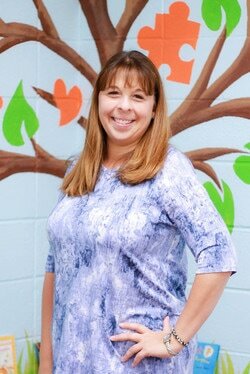 ​In her last 3 years before coming to OCNS, she was a Reading Specialist and worked primarily with grades Pre-K through 2nd. Susan is very excited to have joined the OCNS family! She enjoys traveling, being outdoors, shopping, reading, and teaching young children. She adores animals and loves spending time with family and friends. She resides in Woodbridge with her husband Rich, daughters Saydee and Sienna, and their cat named Pinot. Mrs. Babineau is currently the Head Teacher in our 3's and 4's classroom. She holds a Bachelor's Degree in Elementary Education and a Master's Degree in Curriculum and Instruction. Vicki taught kindergarten and 1st grade for 15 years before taking time off to raise her 3 children. 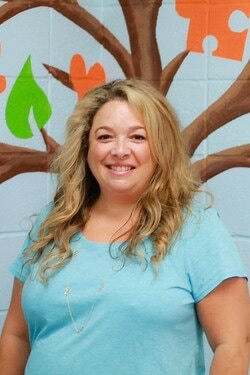 She has also taught preschool for the past 4 years before joining the staff at OCNS. In her free time Vicki enjoys shopping, reading, walking and traveling with family and friends. She resides in Seymour with her husband Mark, son Jack and twins Ryan and Karli. Mrs. Jones is our assistant teacher for the 3 and 4 year old program. She also serves as the Health Coordinator. 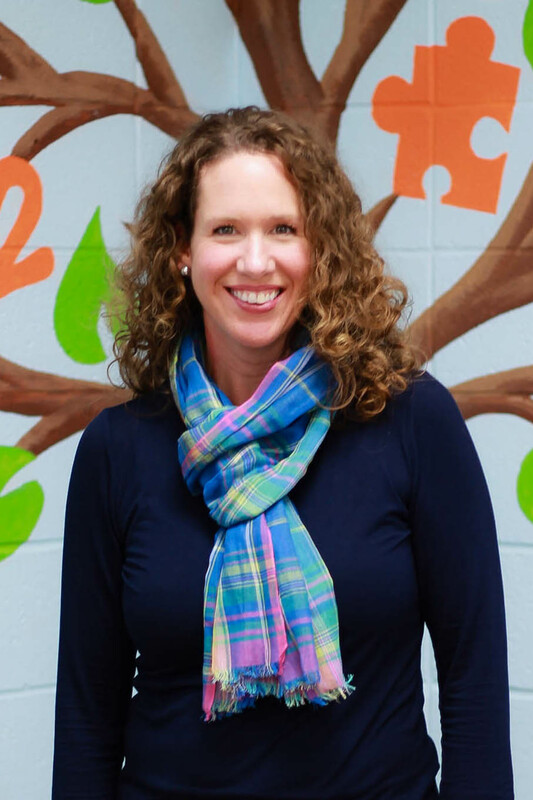 She is a daily presence in the classroom working closely with teachers to implement the lesson plans and help the children adjust to preschool. ​Sheila has been working with preschool aged children for 20 years, serving as a lead teacher in the children's ministry at her church. She has also worked as a daycare provider for a number of children over the years. She enjoys reading, working with children, spending time with family and friends and volunteering in church. She resides in Bridgeport, CT with her daughter, Jasmine, who is currently in college. Mrs. Rooney is our Teacher's Aide for the 3 and 4 year old programs. She holds a Bachelors Degree in English from Sacred Heart University. Mrs. Rooney chose to leave her long-standing position as a Partnership Manager for a global sample and data provider to be a full-time mom. Since then, she has enjoyed volunteering at both of her children's schools and is loving every minute she has with her family. Mrs. Rooney's daughter is a graduate of OCNS and now that she is off to Kindergarten, Colleen is ecstatic to be back at OCNS to help the teacher's with their programs.